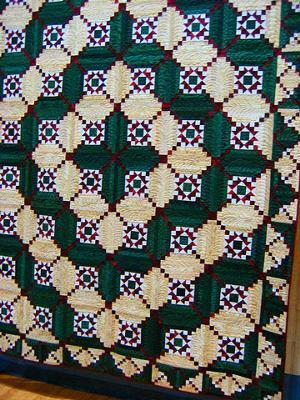 This log cabin quilt was started in a workshop taught by Carolyn Beam on March 5, 1999. Because I was a little overwhelmed by the pattern and the directions, it sat in a box until January 15, 2008. I decided it was now time to get it done. I added 24 additional blocks to enhance the unique pattern that was formed by the log cabin blocks. 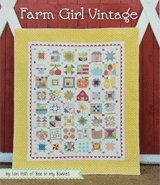 I felt the quilt needed the small log cabin border as a finishing touch. 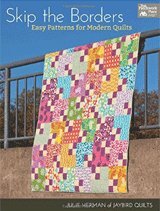 I sent the quilt to Nancy Mancke for quilting. 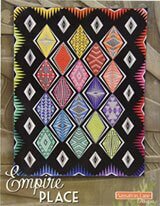 Her beautiful quilting design really complements this quilt. While the pictures of this quilt are very good, it is even more stunning in person. 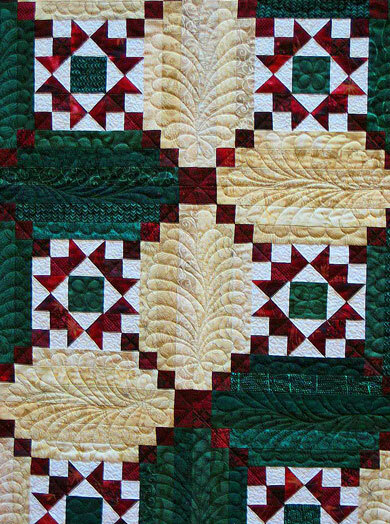 Linda did a beautiful job piecing and turned it over to a wonderful quilter, Nancy Mancke. 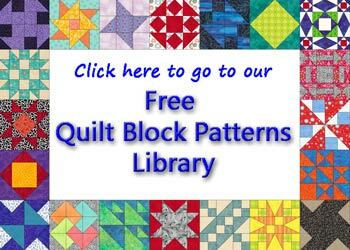 I've received many requests for the pattern information for Linda's quilt. 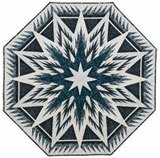 I contacted Carolyn Beam, the pattern designer, and she said that you can contact her directly. This is a beautiful quilt. 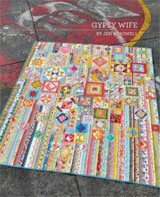 The quilting is spectacular on it!